This book gave me great tips as a blogger. I would recommend this book for those beginning to blog. The book has some outdated websites, but you can always use Google to find the current websites on the topic of discussion. 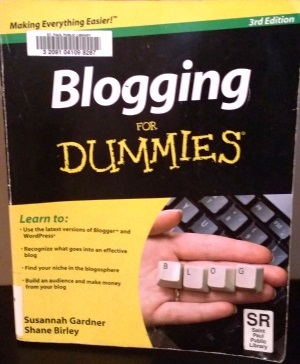 I am giving this book, Blogging for Dummies, 3/4 stars. I just got a copy of this book, looking forward to reading it! Let me know how you like it. What edition do you have? I have the India Edition 2012.